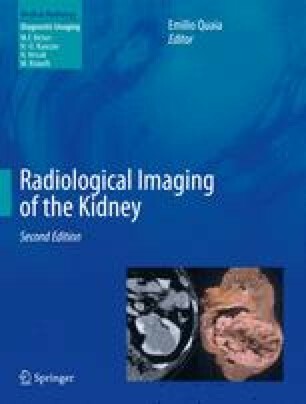 This chapter describes the normal anatomy of the retroperitoneal space according to cross-sectional imaging techniques. The retroperitoneal space is divided into three fundamental spaces by the anterior and posterior renal fasciae, namely, the pararenal anterior, the perirenal, and the pararenal posterior spaces. The fat contained in the retroperitoneal space communicates with the fat contained in the abdominal space since the anterior pararenal space communicates with the mesentery and mesocolon through the connective tissue involved in the peritoneal foldings. Inferiorly, the different retroperitoneal spaces communicate also with the perirenal space where the kidneys are located.